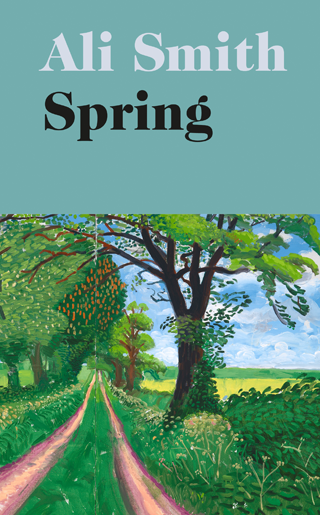 Spring by Ali Smith – Book Review . Twisting third part of seasonal quartet. This is the third novel in Ali Smith’s seasonal quartet, written in response to – and defiance of – the political mayhem unleashed in this country, and around the world, since the EU referendum in 2016. But, this being Ali Smith, literary shape shifter and conjurer of magical characters, realms and ideas, Spring is so much more than that suggests. When you step into an Ali Smith novel, expect to have your head turned upside down – all notions of logical time and consequence shaken loose – and you will not be disappointed. She is a great adventurer, of heart and mind, and dares her readers to be the same. Despite its title, and the hopeful season from which it takes it cue, Spring is possibly one of Smith’s darkest fables yet. Truly a narrative for our troubled times. She runs together the stories of Richard Lease, a television director mourning the loss of his great friend and ally – the brilliant and principled writer Patricia Heal – and a mercurial twelve year old girl called Florence. But just who is this mysterious Florence? And what is her purpose? For Richard Lease, it is clear: Florence is his saviour. She persuades him to take his head off the railway track, where he has laid it in utter despair and grief. From the start, he is in her debt. Then, off he goes with her, on a bewildering and strange journey of liberation. Underneath this surface narrative is a much deeper and more dreadful undertow. Florence’s real mission – for reasons of her own, as well as her pure and youthful humanity – is to highlight the plight of the refugees and asylum seekers incarcerated in this country’s Immigration Removal Centres. Dark places indeed. With the clear-eyed audacity of a child she finds ways into one of these centres, and also finds ways to spring some of the innocent prisoners, spiriting them away on a journey to freedom in which Richard finds himself unwittingly implicated. For a while, Ali Smith was celebrated as an innovative and somewhat leftfield writer: an experimentalist and game changer in the world of literary fiction. But with her latest three books: Autumn, Winter and Spring, she shows herself to be even more than this. She is turning into a commanding and essential spokeswoman for contemporary times. Angry, lyrical, audacious. And there is summer still to come!